Our next meeting will be on Monday 9 September when David Millum of the Culver Archaeological Project will speak to us about Roman activity along the River Ouse. 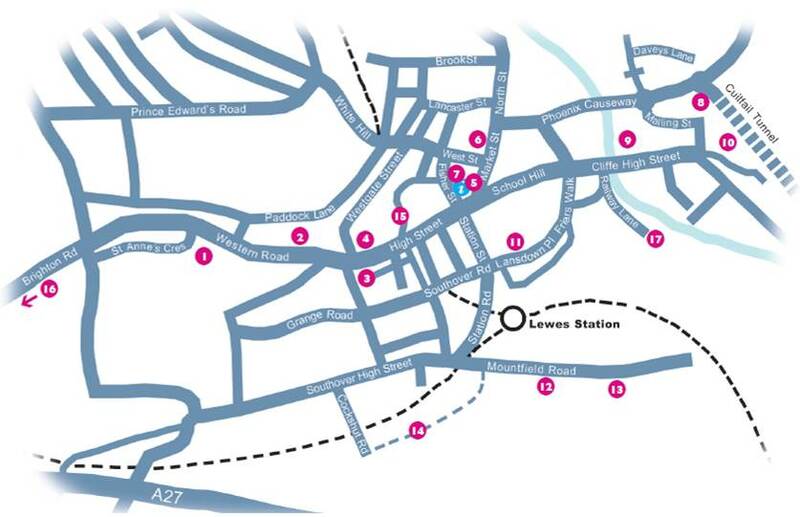 Sixteen historic Lewes buildings and one very interesting modern structure will be opening their doors over this long weekend. Some are not normally accessible, and for others there is usually an entry charge. There are a range of guided tours, and for some advance booking is essential. An opportunity not to be missed. For full details consult the attached leaflet or visit the website. A new edition of the east Sussex volume of Pevsner’s ‘Buildings of England’ was published this year, and copies will be available at a discount from the Skylark bookshop in the Needlemakers during the weekend. Gilbert White was in the habit of paying regular visits, on horseback, to his aunt Rebecca Snooke at Delves House, Ringmer. I’ve attached a photo of a painting which we were told was by a local artist. There’s no signature, just a pencil note on the back of the frame (which is unfortunately a little distressed now and needs some repair): “South Lewes from the River”. Someone else has scratched in that it’s the River Ouse. It’s hard to date the picture, but I would hazard a guess that it might have been painted early 19th century. If anyone can shed any light on who this local artist might be I’d be delighted. This request from Nicola was received through our website. Neil Merchant identifies the barn shown as at Hamsey Place Farm on the Hamsey cut (dating from the 1790 Upper Ouse Navigation Act) rather than the Ouse itself. The house just visible behind the barn (today converted to a house) would then be Hamsey Place, the lane on the left that leading to Hamsey church and the chalkpits in the distance those at Offham. This is of course north, rather than south, of Lewes. The County Grammar School for Girls celebrates its centenary with what may well be its final Old Girls’ reunion on 14 September 2013. I am putting together a brief history of the school to be included in the programme. Can anyone help with the completion dates of the two extensions to the original building? The first included the science labs and the gym (late 1930s I think) and the second had additional classrooms and the library (late 1950s?). I’d be grateful for this or any other relevant information. Email yolanda.laybourne[at]btinternet.com. 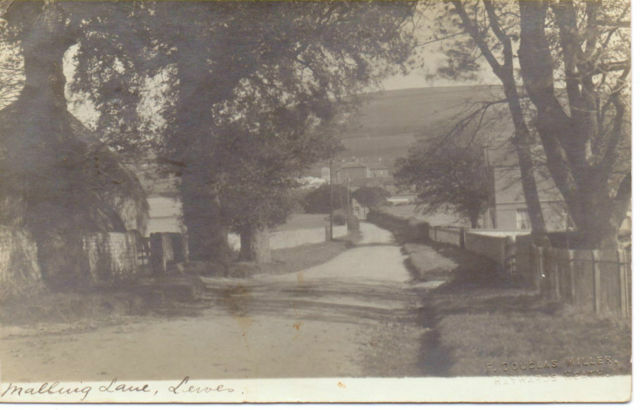 This Reeves of Lewes postcard attracted very competitive bidding on ebay in Autumn 2012. This postcard published by F Douglas Miller, Haywards Heath, with a 1910 postmark, was also very much sought after when offered for sale on ebay recently. The resources on-line cover a variety of national archives and resources that are invaluable to the local historian such as the British National Newspaper Archive, Census data, Parish records and several others. The Library has license agreements for many of these resources so, as Library members, visitors have free access to these via the terminals in the Library. There is also free WiFi within the Library so for those Library members with their own laptops it is possible to use the same on-line facilities via your own machine. Currently the Library also has a dedicated terminal which provides access to part of the ESRO digital archive. Michele told us that the terminal will be available at least until ESRO has reopened in the Keep later this year. The ESRO terminal includes a fascinating collection of old ‘tithe maps’ and a large collection of photos. The Library also has a ‘Clippings file’. This includes cuttings from local papers, postcards, photographs etc covering a myriad of topics – great for browsing on a wet afternoon! The Library recognises that until you get to know your way around the collection it is not always easy to find what you want. Michele emphasised that she, or one her colleagues, are always willing to help visitors find their way and are happy to help look for particular documents if necessary. If help is needed please just ask. But it is always helpful if appointments can be made in advance. So to summarise, the Library is a great resource for the Group and we got a very informative and useful tour. So many thanks to Michele for looking after us so well. 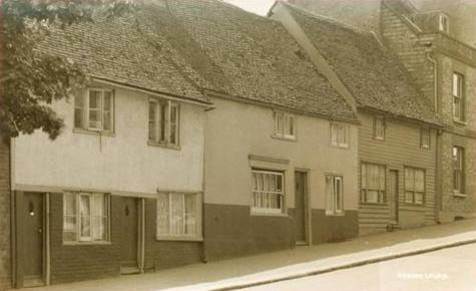 This entry was posted in Education History, Lewes, Libraries, Local History. Bookmark the permalink.